Straight from the thrift store and into my arms. It's the perfect length and color and I pair it with just about any outfit. Best Part? I only paid $6.00! Being the layering girl I am, I just love it! A Lilly brush is a nylon bristle brush GUARANTEED to remove pills, pet hair, lint and light soil from all natural fibers like wool or cotton. 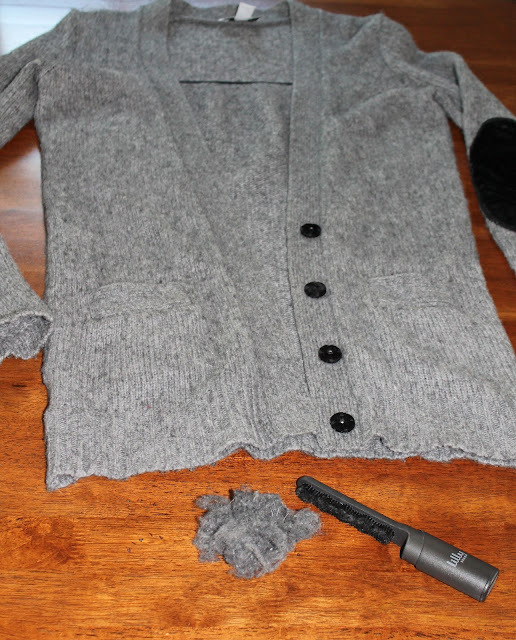 You just sweep or brush it, across the clothing in any direction and the bristles do all the work. You can even dampen the brush before use to prevent static build up. It's simple to clean, you just wash with soap and lay flat to dry. 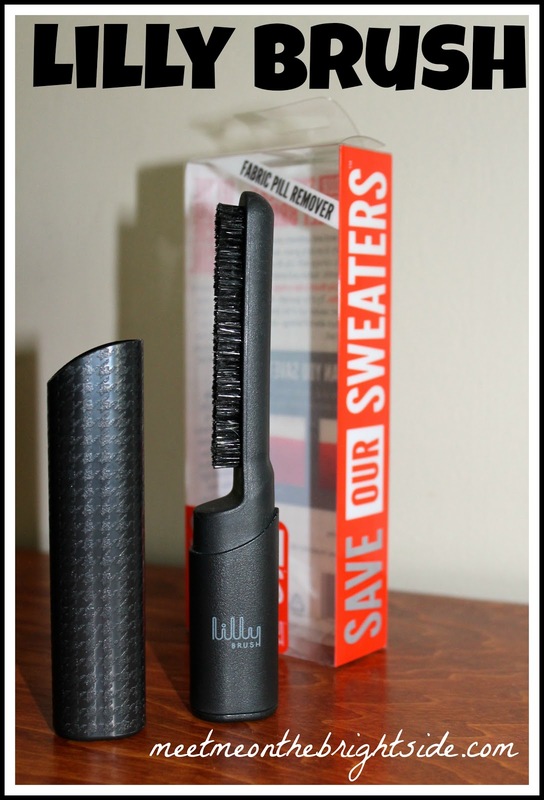 ( I just easily pulled the pills out of the bristles and it was clean) It's compact enough to throw in your purse or luggage and has a sleek little cap that slides on and off to protect the bristles. Of course I was skeptical that this little brush could do what a number of other products failed to. Oh, yes. 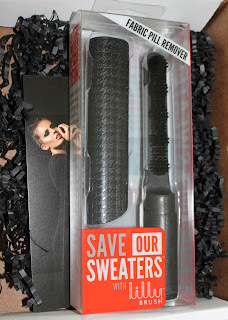 I've tried several different electric sweater shavers over the years to no avail. They literally did nothing. Actually, one put a hole in one of my sweaters, so I guess that's something. Anyway, I just gave up and figured it's one of those un-fixable things. That was before I tried the Lilly Brush. 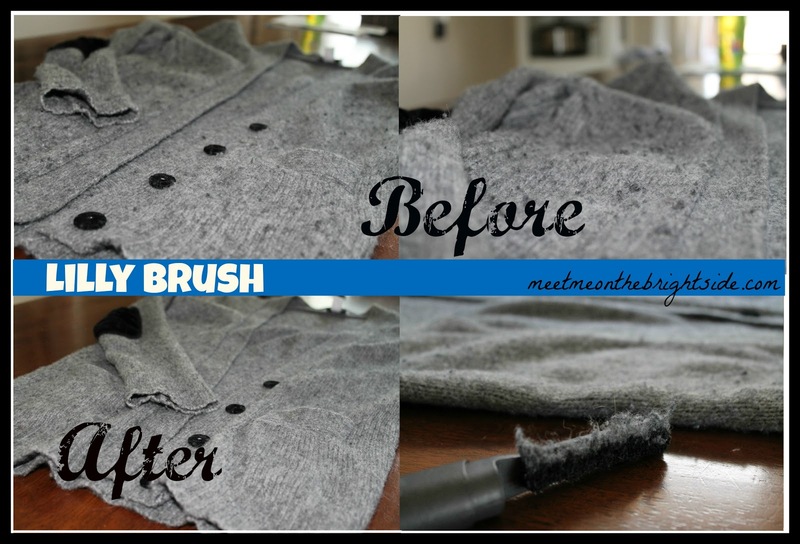 Clearly, the top left & right picture compared to the bottom left & right picture shows what a difference this brush truly made in just the five minutes it took me to brush the whole sweater. Yes! The Lilly Brush truly is a sweater savior and I've already saved two others in my closet as well as some fabric bins. It has also removed my dog's white hairs from all my black work pants in a snap. Now, Im off to snuggle up in my new, old cardigan. Disclosure: This product was provided for testing and experiencing purposes from the Lilly Brush brand and the iFabbo shop. The review is 100% honest and my own opinion. So glad you discovered the iFabbo shop! It's amazing! I'd love hear how the Lilly Brush works out for you!Thanks for reading.